2017-18 France Away Nike Mini Kit (Black) (Pogba 6). OfficialPaul Pogba football shirtfor the new France football shirt. 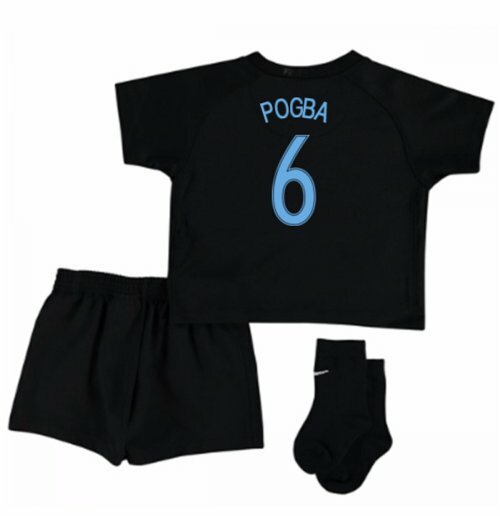 This is the new France Away shirt for the 2018 World Cup Qualifiers which is manufactured by Nike and is available in kids sizes aged 1-6This France football shirt is black in colour and comes withPaul Pogba shirt printingon the jersey.